American Standard AC and Furnace prices here in Greater Toronto Area are very competitive. Air Conditioners from $1,799 after rebates. 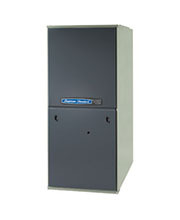 Furnace from $1,499 after rebates. If you are in the market to buy a new AC or Furnace, contact CHC today for special deals on American Standard AC and Furnaces as well as HVAC rebates available in your area. With Same day service and warranty trusted by our customers for many years, you are sure to find your HVAC solution at a great price with CHC. Call now 1 (888) 675-5907 for prices and rebates in the GTA. When you purchase HVAC equipment from American Standard, you can rest assured knowing you will receive high quality products, starting at $1,499 after rebates! If you are in the market for a new furnace or air conditioning unit, read more below!And Always remember to ask us about our rebates in the Greater Toronto Area including Toronto, Scarborough, Etobicoke, North York, Markham, Vaughan, Richmond Hill, Aurora, Newmarket, Ajax, Oshawa, Oakville, Burlington, Hamilton, Mississauga, Brampton, Milton and other cities in and around the GTA.Some of the most memorable moments in your life will happen inside, in your home. Your home comfort care systems, such as your furnace and your air conditioning unit, is an integral part of your day-to-day life. Make sure you are only using the best by using American Standard heating and cooling systems. 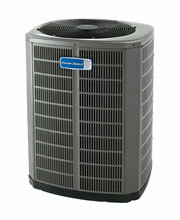 Cooling systems by American Standard typically start at $1,799after rebates, and heating systems start at $1,499. American standard is a home brand heating and cooling system company. Started in the late 1800’s, American Standards have perfected the way we see indoor comfort. Not only does American Standard provide efficient systems that will continue to work for many years to come, but they also provide the most accurate heating or cooling option available on the market. With over 130 years experience, American Standard is your one stop shop for all indoor home comfort systems. American Standard has helped to perfect the way we live indoors, by creating a truly efficient and accurate heating and cooling system. American Standard producing only industry leading products that are sure to last for many years to come. American Standard has produced industry changing heating and cooling products and methods. American Standard knows the importance of these five standards. Reliability: Our precision-made products hold the guarantee of reliability and dependability. You will never have to second guess an American Standard product. Sustainability: Truly energy efficient HVAC products help reduce our use of electricity and other utilities. Home Comfort: Control your indoor air completely, and experience true home comfort. Air Quality: By improving your indoor air quality, you can help protect you and your family’s health. History: The American Standard tradition goes unchanged since 1880. Constant Home Comfort offers fast, reliable, and cost-effective installations. Our 24/7 service works around your schedule, ensuring that installing your new American Standard HVAC device will be hassle-free. Our skilled, trained, and professional HVAC specialists are available to answer any question or concerns you may have.